The technology innovation of vertical grinding mill not only integrates advantages of many well-known grinding mill, but also carries out independent innovation. The innovations include grinding technology, design method, equipment structure and system control, and makes the performance more excellent. At present, vertical grinding mill has been widely used in cement production, steel and power industry, non-metallic ore ultra-fine powder preparation. It has obvious effect on energy saving and consumption reduction in various industries, and has played a positive role in promoting technological progress of enterprises. Vertical grinding mill is mainly used in cement industry for grinding raw materials and coal powder. It fully shows the advantages of vertical grinding mill, which integrates fine crushing, drying, grinding and classifying together. Its power consumption is low, drying capacity is strong and production process is simplified. 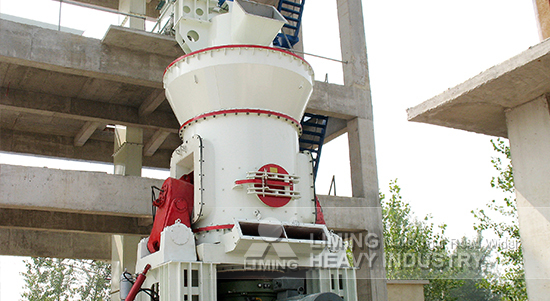 Vertical grinding mill used for cement industry have been serialized and standardized. Single vertical grinding mill can meet the requirements of 6000 t/d cement production line. The single vertical coal mill can satisfy the requirement of cement production line with capacity of 10000 t/d. The application of vertical mill in iron and steel and power industry is to grind pulverized coal and provide fuel for blast furnace and power plant boiler. It can also grind limestone powder to provide desulfurizer for power plant boiler flue gas desulfurization. The products ground by vertical mill can improve the combustion efficiency of coal and the desulfurization effect of boiler flue gas. There are many kinds of non-metallic ores, such as pyrophyllite, kaolin, heavy calcium, bentonite, gypsum, quartz sand, etc. The characteristics of raw materials are very different. Generally, 97% of them pass through 1250-325 meshes. The vertical mill preparing nonmetallic ore powder is called ultra-fine vertical grinding mill. Compared with Raymond mill, the capacity of vertical mill can be increased by more than 10 times to meet the needs of large-scale industrial production of grinding. At the same time, the consumption is also reduced by more than 40% compared with Raymond grinding mill.